This week we’re bringing you a two part mini blog with the underlying theme of “don’t move, improve”. Did you catch part 1 where we talked about some of the reasons why you might consider improving the home you’re in? If not, you can read it here. In part 2, we are going to give you some of the home improvements that you can do that may increase what your home is worth. When planning improvements with the intention of increasing the sales price of your home, you should always be mindful of what buyers will be looking for, and try to deliver that. It’s also important to be aware of what your home is currently worth and what homes in your area sell for. Your property, and even the area that it’s situated in, will have a ceiling price and there is no point spending more on your home than you will be able to get back for it. With a conservatory you get a lot of the benefits of an extension. You gain an extra room with tons of natural light, which you can use as a second living room, a study, a dining room or a play room. Depending on the size, you might be within your permitted development rights meaning that you may not need planning permission. And so long as you keep the patio or back door separating your house from the conservatory, then Building Regulations are not generally required either. 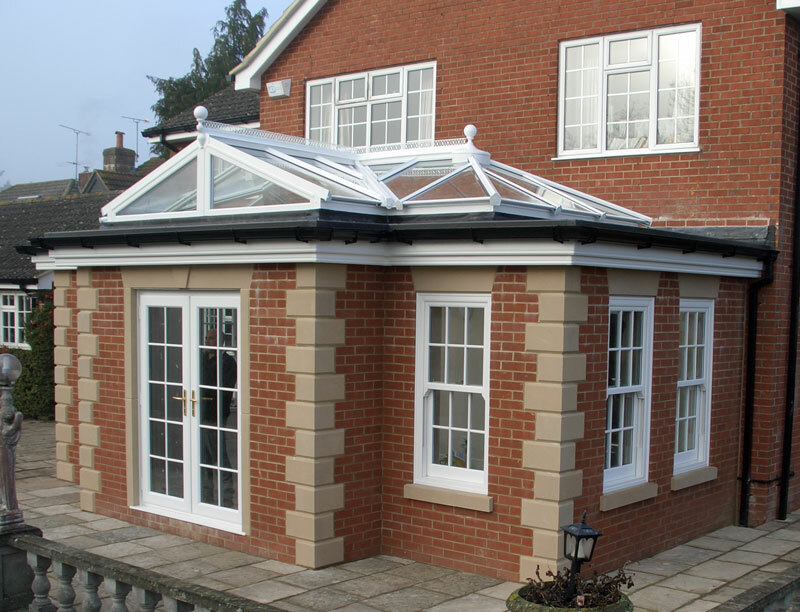 Conservatories are often a cheaper option than a full extension, but can increase the value of your property by up to 15%. 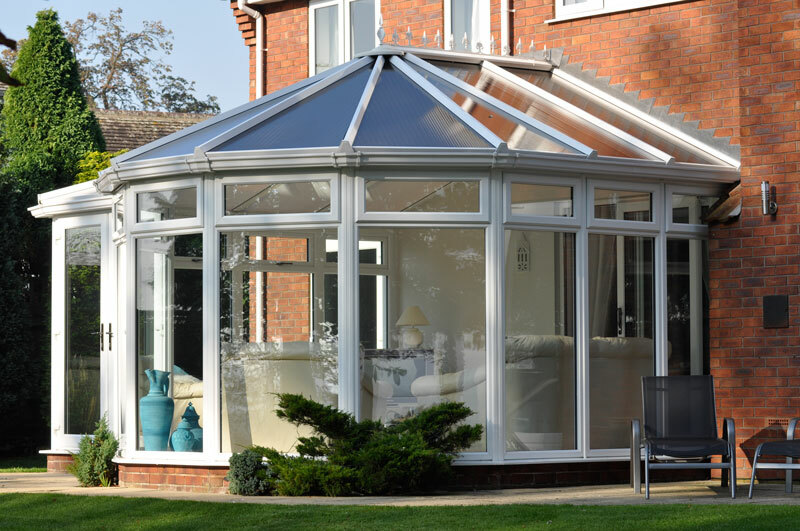 With modern glazing options, conservatories can be usable year round and are a great cost saving space enhancer. Double glazing (or even triple these days) is generally considered essential by most buyers. Houses with good energy efficiency ratings are appealing to buyers, with eco-friendly houses often selling for up to 6% more. Most heat is lost through the roof and windows of your home, so consider good loft insulation and upgrading your windows to energy efficient ones. uPVC windows require very little maintenance, are energy efficient and secure, and come in a range of options for all manner of budgets. 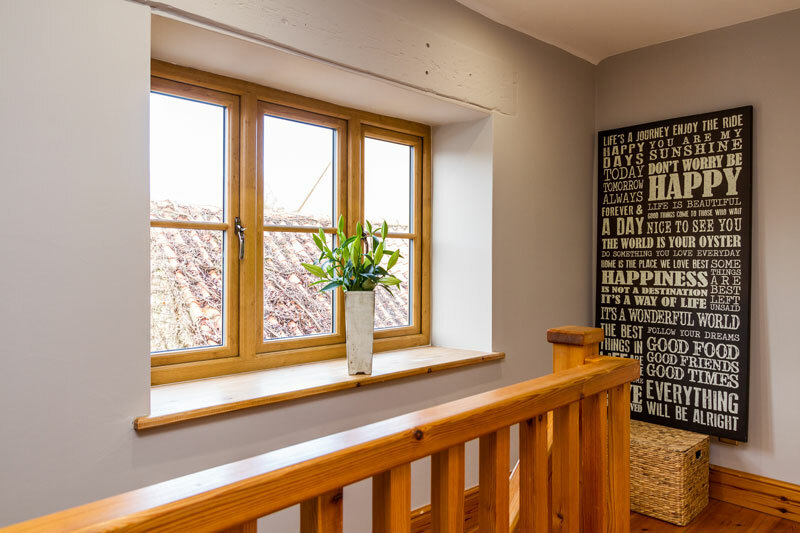 If you have a high end property, then you may need to consider other materials, such as aluminium or the flush sash timber look windows in order for them to be in keeping with your property’s aesthetics and maintain its value. First impressions matter, so try to make a good one with your front door and entrance way. This one is more about increasing a buyer’s confidence – if they immediately like the look of it, then they will feel happier whilst looking around the rest of the property. 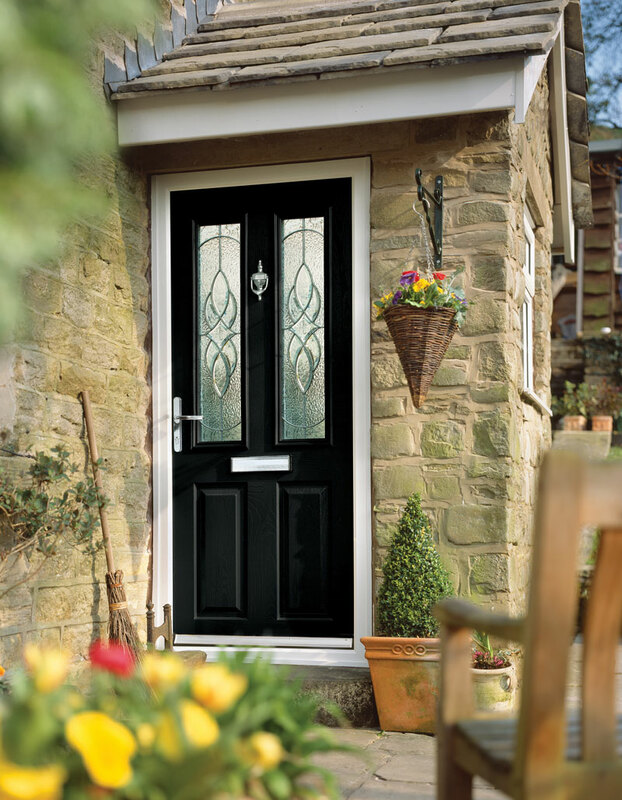 It can be something as simple as making sure the path is neat and tidy, to applying a fresh lick of paint to your door, or maybe fitting some new shiny handles. You could also consider a new front door as a statement piece. And don’t forget to look up. Buyers don’t want to see rotten, grubby fascias and leaking gutters clogged with moss and leaves. Get a professional in to give them a clean, or if they are rotten you can get them replaced with maintenance free uPVC rooflines. We don’t mean this literally. But by making the garden easily accessible and enjoyable from inside your home it can add value. An easy way to do this is with a nice set of doors. 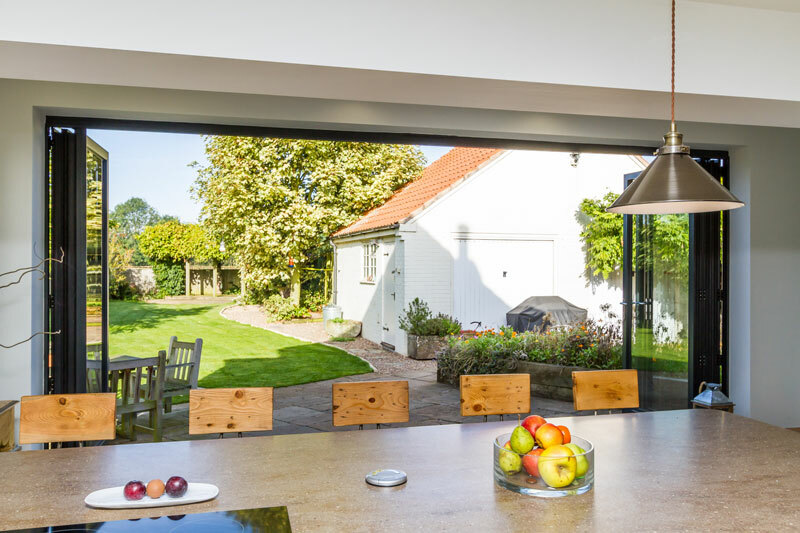 Bi folding doors are ideal in this situation as they have plenty of glass so you can sit and enjoy your garden inside the comfort of your home in colder weather, but when it is summer, you can really open up your house and enjoy your garden. If you would like to discuss your plans for home improvements in more detail, we are happy to offer our advice and expertise. For a free, no obligation quotation for home improvements in Lincolnshire and Nottinghamshire, call us on 01522 512020 or visit our Lincoln Showroom, which is open 7 days a week. For a free online quote from the comfort of your home, click here. Starglaze Home Improvements manufacture and install windows, doors and conservatories in Aluminium and PVCu.